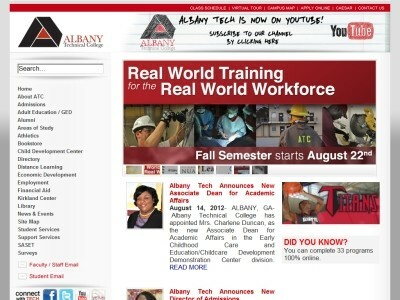 Review: Albany Technical College is located in Albany, Georgia and offers a wide range of diploma and degree programs. Some of the areas of study include the following: accounting, air conditioning, automotive and diesel, business, commercial truck driving, computer science, construction, cosmetology, culinary arts, dental assisting, drafting, early childhood care and education, electronics, fire safety, law enforcement, management, medical assisting, practical nursing, paramedics training and others. Location & access map for "Albany Technical College"